Event : Launch of JAS By Jas Arora at JW Mariott, Delhi | The Shopaholic Diaries - Indian Fashion, Shopping and Lifestyle Blog ! Couple of days back I was invited over for the launch of designer label - JAS by Jas Arora at the JW Mariott Aerocity, New Delhi. 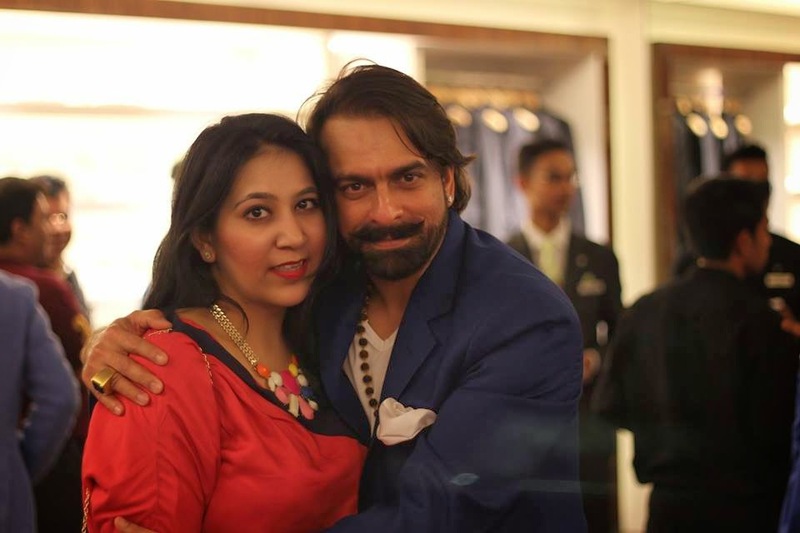 The event was held on 19th March, where actor turned entrepreneur Jas Arora with Sandeep Gupta, Executive Director, Asian Hotels West Ltd., played the perfect hosts to celebrate the launch of bespoke modern craft fashion atelier “Jas Arora”. The well heeled fashion lovers of the capital came together to raise a toast to celebrate the opening over cocktails and hors d'oeuvres. The "Jas Arora" label is brought forth under aegis of Jainson Luxury. Noted singer Jasbir Jassi, rendered soulful Sufi numbers at the store to show his love and support for his friend Jas and to wish him luck on a new beginning. We went through the fabulous collection which is a unique representation of excellence, fineness and discipline of traditional tailoring, marrying the ease and convenience of modern menswear and women's wear where founder and creative director Jas seeks to bring forth an intimate dialogue that carefully understands the requirements of the customer and his lifestyle. So, do you like what you see above? I fell in love with his western wear collection for men, especially the colourful suits which scream of Spring at the first glance. It presents a selection of goods or services and offers to sell them to customers for money or other goods. I love to search about wedding and modern fashion styles. Finding best custom essay writing is tough job so we should always get reviews before choosing one for getting help. Great idea! Interesting article! If you need a really effective solution to your academic problems, we have the answers! Wow! Awesome! I wish I had such garderobe! But I want to offer you some cool site where you can buy professsional essay. Wow! This is really cool shop. You are amazing designer. I totally agree with you that wardrobe must be in sharp in both look and pricing. As I can see - your collection just like that. Thanks for this interesting photos. I hope you will continue sharing with us such interesting fashion news. I'll be waiting for. You have done great work in this blog. Pictures are awesome. Wardrobe is also looking good. Hope you had a successful event. Best of luck. OOTD - Cropped it Right !